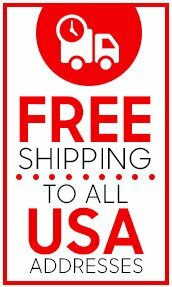 1) FREE SHIPPING to the 48 contiguous states of the United States of America. Licenseplates.tv is pleased to offer FREE SHIPPING only by the UNITED STATES POSTAL SERVICE First Class or Priority Mail. 2) FREE SHIPPING to Alaska, Hawaii, Guam, Puerto Rico, other American Territories and APO & FPO addresses. Licenseplates.tv is pleased to offer FREE SHIPPING by the United States Postal Service (USPS) Priority Mail service on all orders shipped to Alaska, Guam, Puerto Rico, other American Territories and APO & FPO addresses. United States Postal Service has a shipping transit time between 2 - 7 days for most destinations. Deliveries are made Monday - Saturday and excludes all Federal and National holidays. Please note that USPS delivery time to APO and FPO addresses may take as much as two (2) weeks or longer. ** If you entered an incorrect address in the online order process or an incorrect address was given for mail order or an incorrect address was entered in the telephone order process, the reshipment of your package will cost $10.00 per package. We urge you to check your shipping addresses carefully to receive orders quickly. 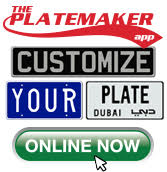 Licenseplates.tv is pleased to fulfill International orders. We will ship these orders by the United States Postal Service - PRIORITY MAIL INTERNATIONAL. The shipping cost starts at US $60.00 flat rate per package or single order. Shipping transit time range between 4 - 10 business days. Customs in your country may delay delivery. Licenseplates.tv is not responsible for delays or seizure of your package by customs (governments in foreign countries). Therefore if your package is delayed or confiscated by customs/government in a foreign country, Licenseplates.tv will not issue refunds. All import taxes, custom duties and other charges are the customer's responsibility.